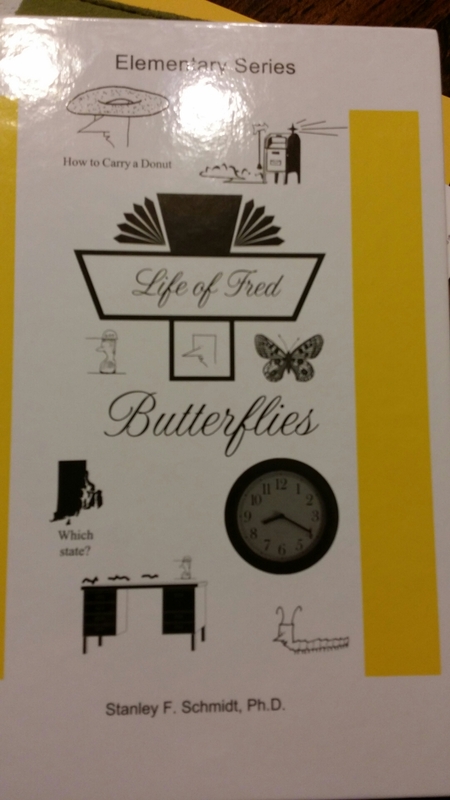 We recently started the second book in the Life of Fred elementary math series- Butterflies. 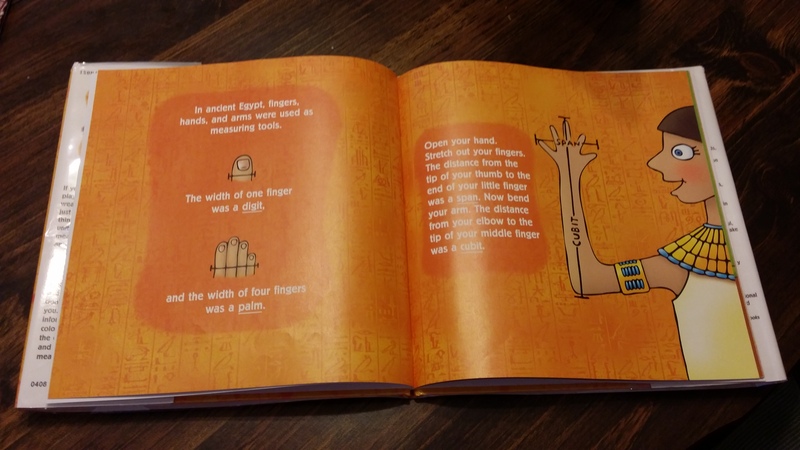 The first chapter we read focused on yards and feet. 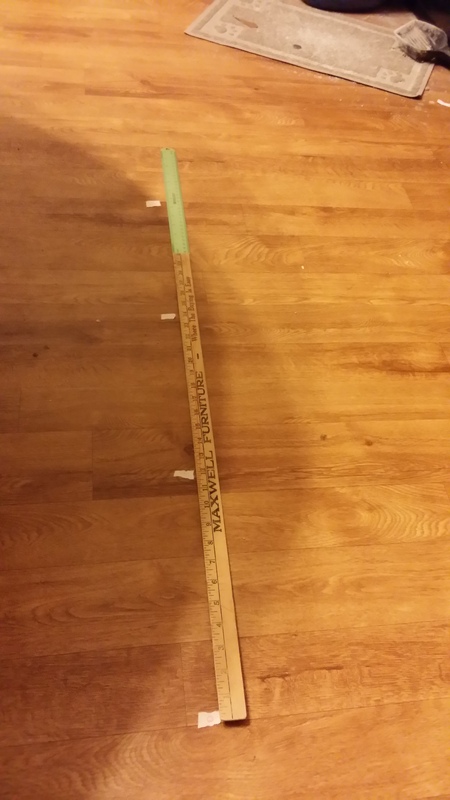 Fred is only 1 yard tall so we got out our yard stick which at the time I did not realize was broke so we had to get out our regular ruler too. 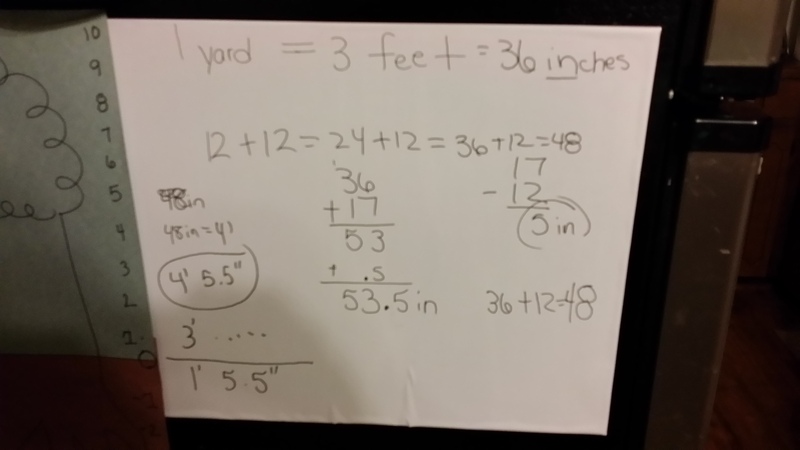 We are told that three feet = one yard. So we discussed that our regular ruler is 12 inches long and equals one foot. Fred is one yard tall. We measured out 1 yard using our regular ruler. We placed tape to show where each foot ended then placed the yard ruler beside it to show three feet equals one yard. My yard stick was broken so we had to add the regular ruler to the end of it. This was a great visual for him. I am taller than Fred! Next we measured how tall D was. He laid next to Fred’s measurements. 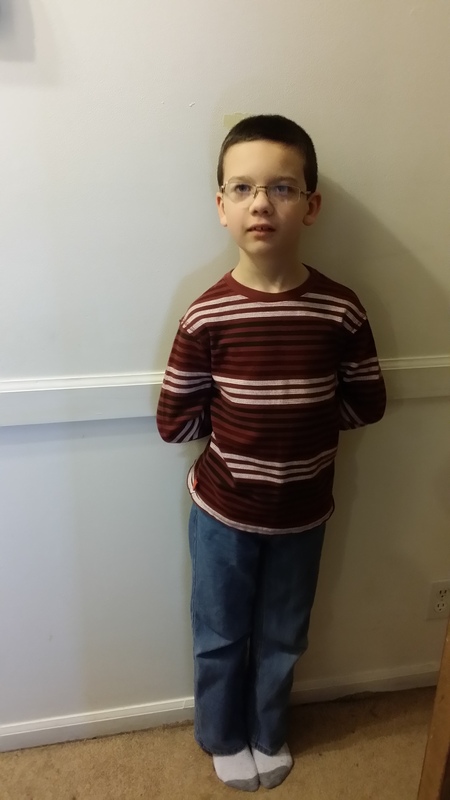 We placed a piece of tape at the top of his head then he measured the difference in his height and Fred’s height. After measuring, we worked it out on our white board. 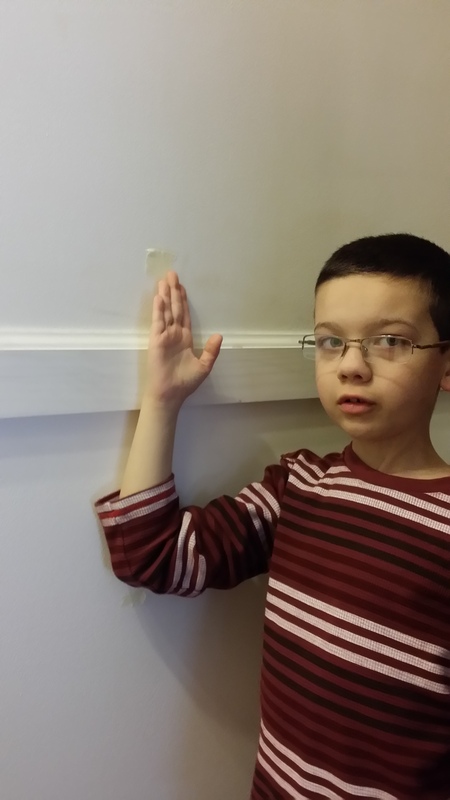 First he measured to see how many inches was in three feet. Then we worked out how tall he was then took the difference. There are 1′ 5.5″ between D and Fred. After that he spent the rest of the day measuring random stuff. The next day we used How Tall, How Short, How Far Away? to learn more about measurement. 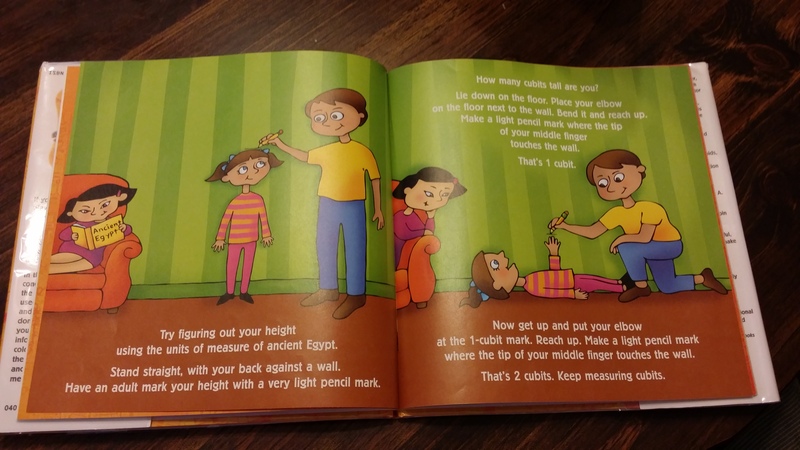 As our activity we decided to focus on measurement the Egyptian way. Then we took to the hallway. We place a piece of tape to show how tall D is. Then we proceeded to measure using digits, palms, spans, and cubits. We might should have started by measuring from the floor but we started from the top. By the time we got to the area by the floor we were having a bit of trouble getting our hand and fingers the way we needed. But we did succeed. Not sure how “accurate” our measurements were because we forgot to use one of the measurements. D had fun and again spent some of his free time measuring like an Egyptian. 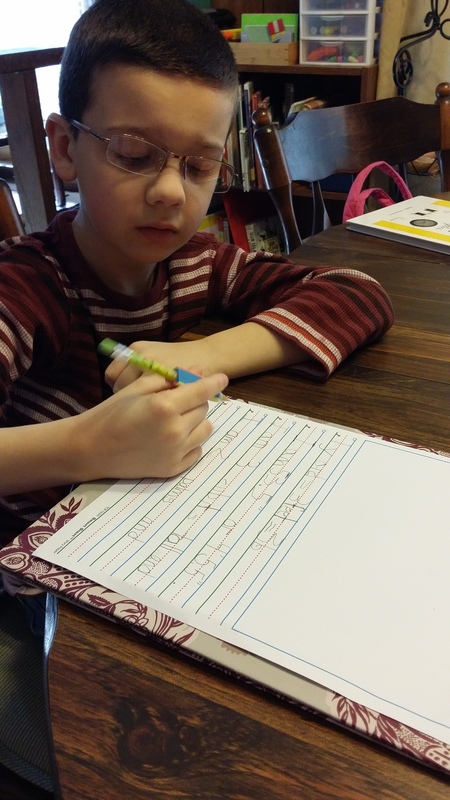 Here, D is finishing his math page. The first day he wrote down his measurements in feet and inches. The second day he wrote down his height in Egyptian terms. We are leaving the space at the top of the page blank so we can add a few of our pictures. He had a blast doing this lesson. The second chapter of the book was all review for him. It involved counting by 2 which he has been able to do for several years now. So I had him take some army figures and lay them out by 2 and then count using only two. 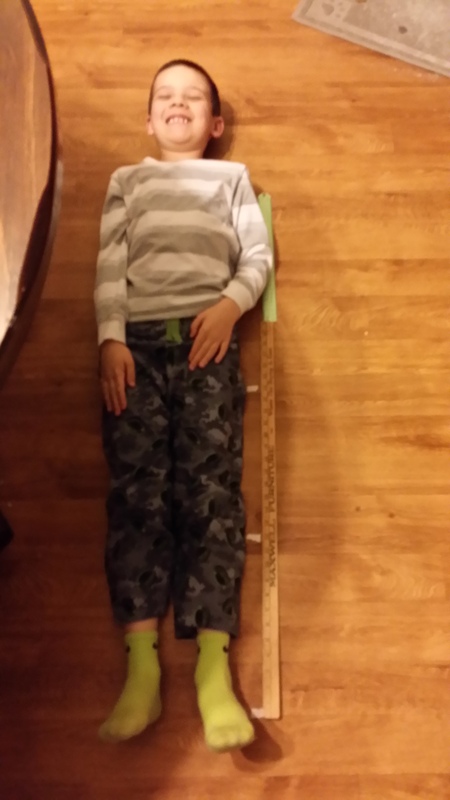 Then he took his ruler measured how many he had laid out. That he chose to do on his own.